When we moved into this house there was a small clothesline in the backyard. I loved using it to hang AJ’s cloth diapers to dry, but as I was hanging a load of diapers up to dry one day, the line snapped in half! It was this cheap plastic-covered synthetic line and it had been sagging pretty bad lately, so I wasn’t all that surprised when it broke. I figured if I had to replace the clothesline anyway, I might as well make it nice, functional, and strong. 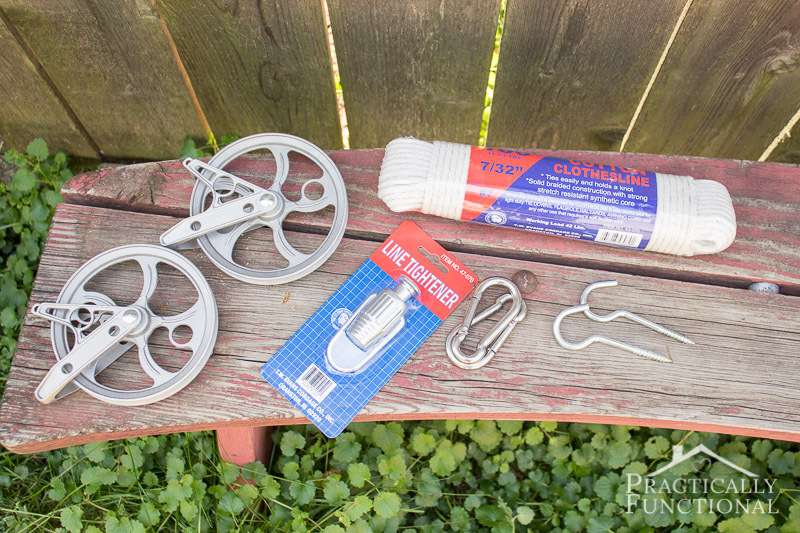 I bought some pulleys, cotton clothesline, and a few other supplies and made my own DIY pulley clothesline. 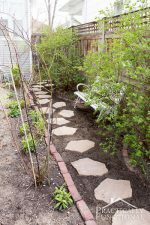 The step by step instructions are below if you want to make one for your own yard! Strong: The clothesline needs to be strong enough not to break, even under the weight of a bunch of clothes or diapers. 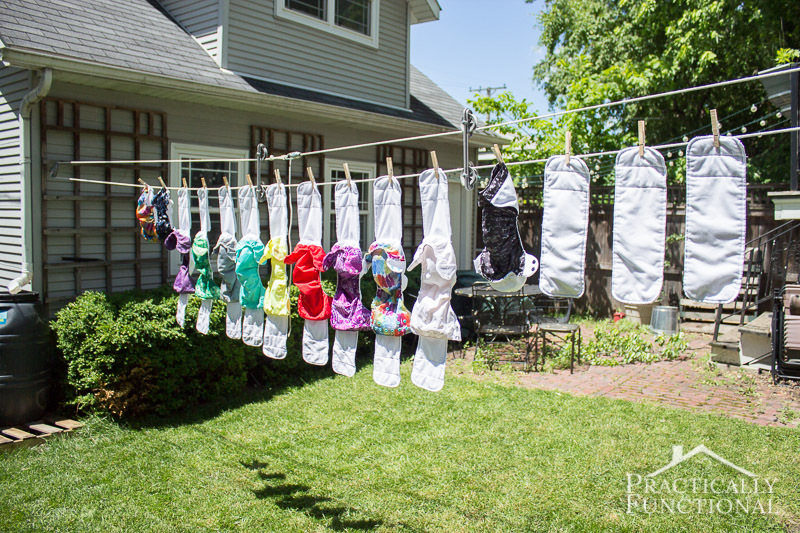 No sagging: The clothesline needs to not sag under the weight of the clothes, or stretch out over time. 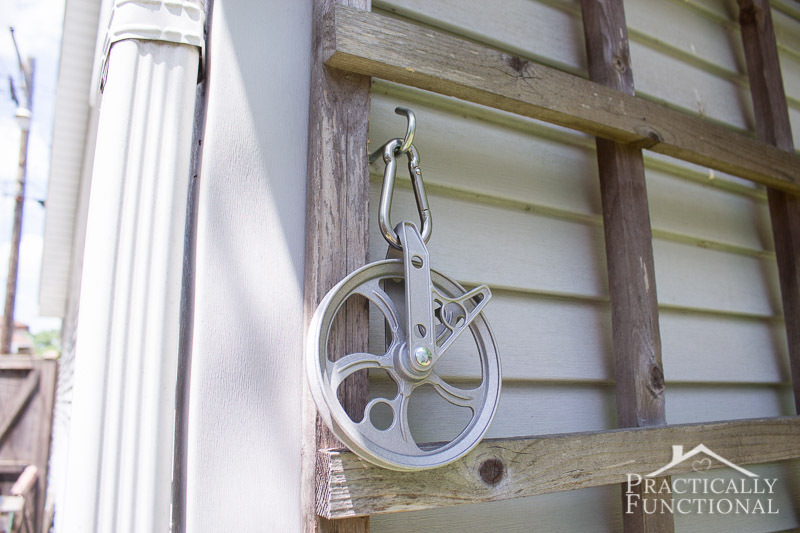 Pulley: I want to easily put clothes up and take them down, so I wanted a pulley clothesline. Easily removable: My husband and I are both tall, so I want to make sure that I can easily take the clothesline down when we’re not using it so that we don’t hit our heads on it. 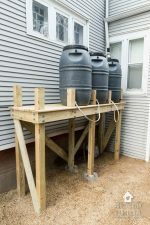 First you need to find a sturdy place to install your clothesline. I installed our clothesline between our detached garage and our house, but you can also attach the ends to a large tree, a sturdy fence, or a shed. 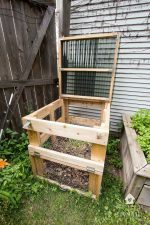 Or if you want your line to run along the side or back of your house, you can install the clothesline between two large, sturdy brackets attached to your house like they did over at Homestead Revival. 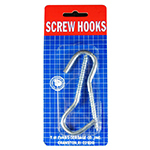 When you’re ready to install your clothesline, drill a pilot hole for your screw hook, then screw the hook into your house, garage, tree, or whatever. 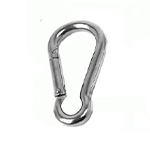 Make sure it’s screwed all the way in, then clip one of your pulleys to it using a carabiner. Repeat the process for the second screw hook at the other end of your clothesline. Now it’s time to thread your clothesline! With a pulley clothesline you’ll have two parallel clotheslines running between your pulleys, one on top of the other. 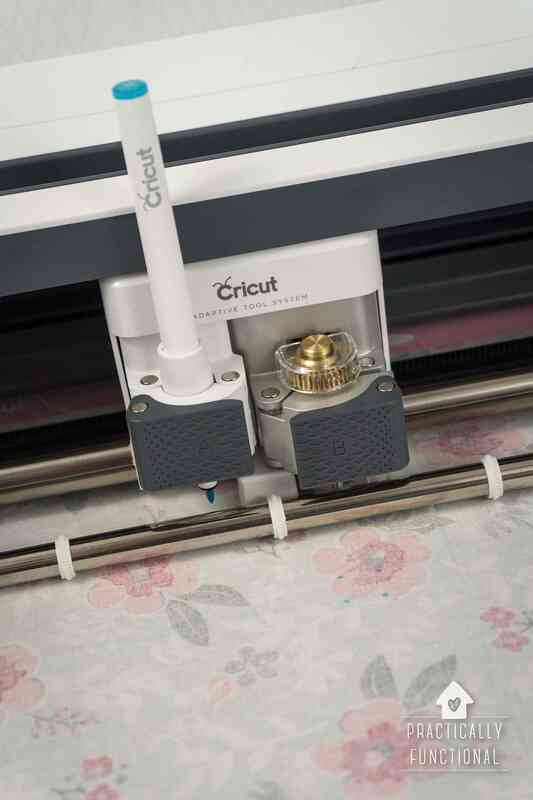 If you’re using a line tightener and line spreaders, the line tightener normally goes on the lower of the two clotheslines so that you can add the line spreaders as you add your clothes and it will all slide through the pulleys without the line spreader getting stuck on the tightener. But I chose to add my line tightener on the upper line so that I would have some extra room to hang clothes on the lower line. This means that I have to walk down the line and add the line spreaders to the line after I have hung all the clothes, but our line is short and it’s worth it to save the extra space for clipping up clothes! If you’re using the same tightener I used, you have to pull on the body of the tightener to open up the ball bearings, slide the clothesline through the opening, and release the body of the tightener. The ball bearings will grip the clothesline tight; to tighten the line just pull on the loose end of the line hanging out the back of the tightener. I hung a canvas clothespin bag at the other end because that’s where I stand to hang clothes up and take them down. 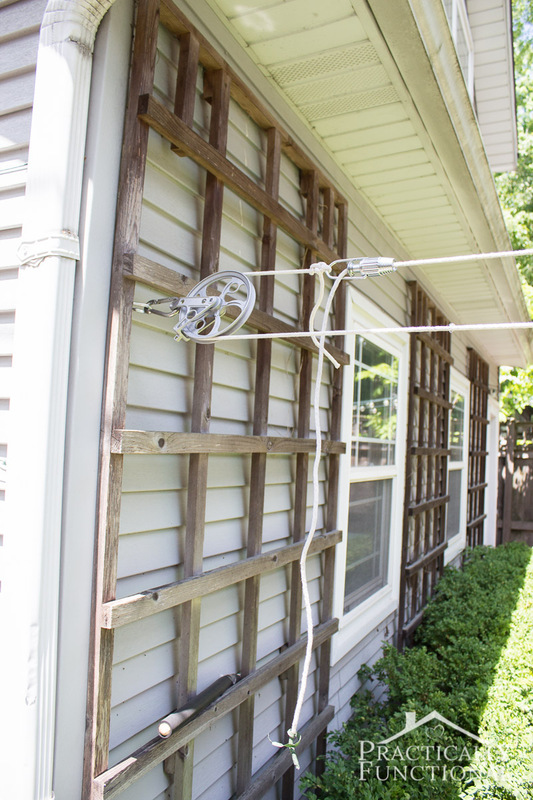 The beauty of the pulley system is that you can completely fill your clothesline without having to walk down the line as you go! Start with the line tightener all the way at the opposite end of the line from you, then hang your first piece of clothing on the lower line closest to you. 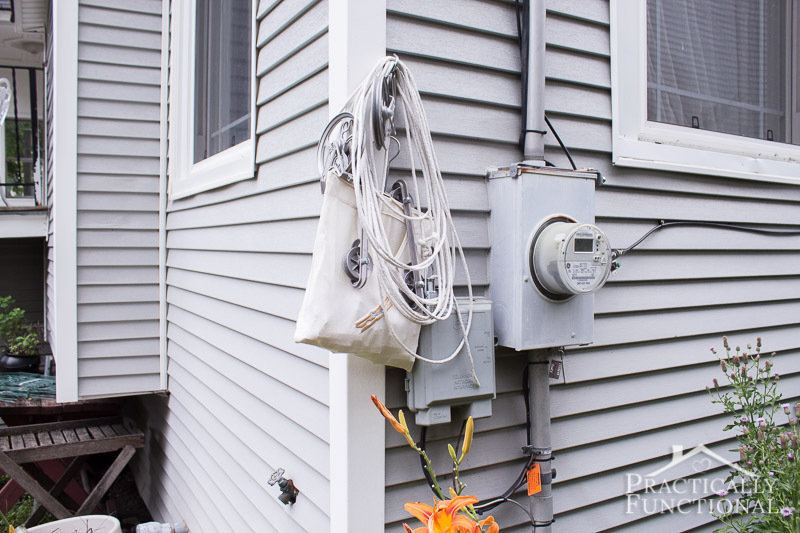 As you continue hanging clothing, pull the clothesline through the pulley until you have everything hung up and the line tightener is against the pulley closest to you. If you start hanging clothes while the tightener is in the middle, it’s going to run into the pulley closest to you and the line will get stuck halfway through and you’ll have to walk over to the other half of the line to finish hanging your clothes. 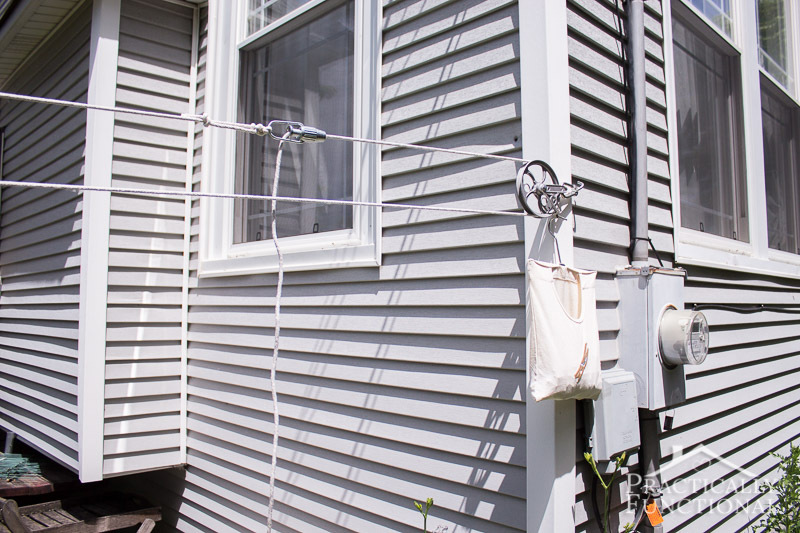 It’s totally normal for your clothesline to sag a bit under the weight of the laundry, and of course, cotton clotheslines will stretch out over time with use, but that’s why you have a line tightener. Once you get your laundry hung up (or any time you notice the clothesline sagging), pull the loose end of the clothesline through the line tightener until it’s tight. The lower line will probably still be sagging a bit, but that’s what the clothesline spreaders are for. 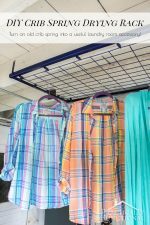 Just clip them onto your clothesline in a few places and they will help keep the upper and lower lines together instead of sagging. Once the clothes are dry, you can go back to the same side of the clothesline you started on and start unclipping clothing, pulling the lower clothesline towards you as you unclip. When you’re finished, your line tightener should be all the way back over against the far pulley again. 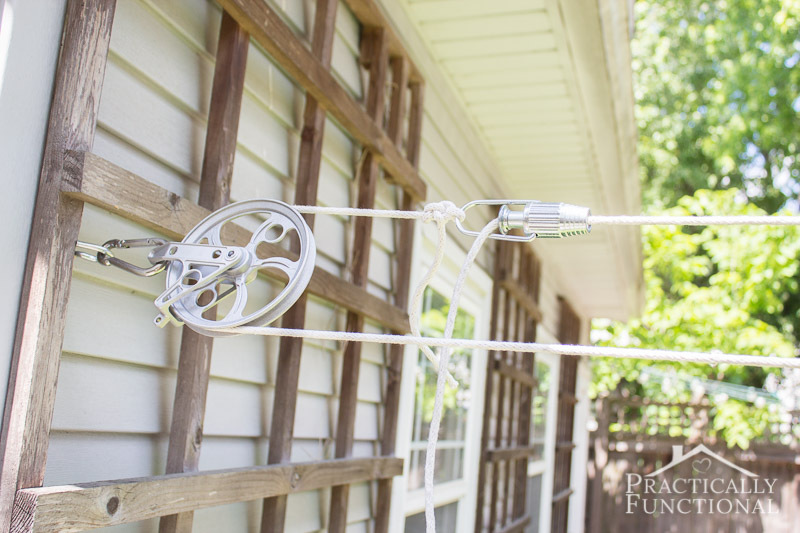 If you want to disassemble your clothesline when you’re not using it, loosen the line tightener slightly to give yourself some slack, and unclip one of the pulleys from the carabiner. 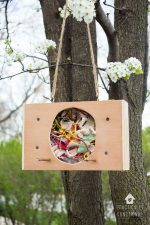 Then you can gather up the clothesline (I like to loop it around my wrist and elbow like an extension cord) and hang it over the other screw hook so that it’s all contained together. When I want to use the clothesline again, I just clip the pulley to the carabiner again, pull the line tight through the tightener, and it’s ready to go! One thing to note when deciding where to place your clothesline is the angle of your screw hooks. The screw hook in our house is around the corner, perpendicular to the clothesline, but the screw hook in the garage is straight in line with the clothesline. It is much worse to have the force of the clothesline pulling straight on, so if you can manage to put the hook around the corner of something to get that right angle, it’s much sturdier. We didn’t really have a choice on the garage because there is a downspout on that corner that would be in the way of the clothesline if I put the hook around the corner, and if you don’t have any other good options, it’s totally fine to put the screw hook straight on to the clothesline. 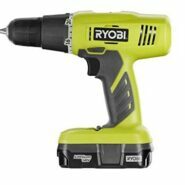 But if you have options, go with the right angle for a sturdier installation! Do you hang your clothes to dry? 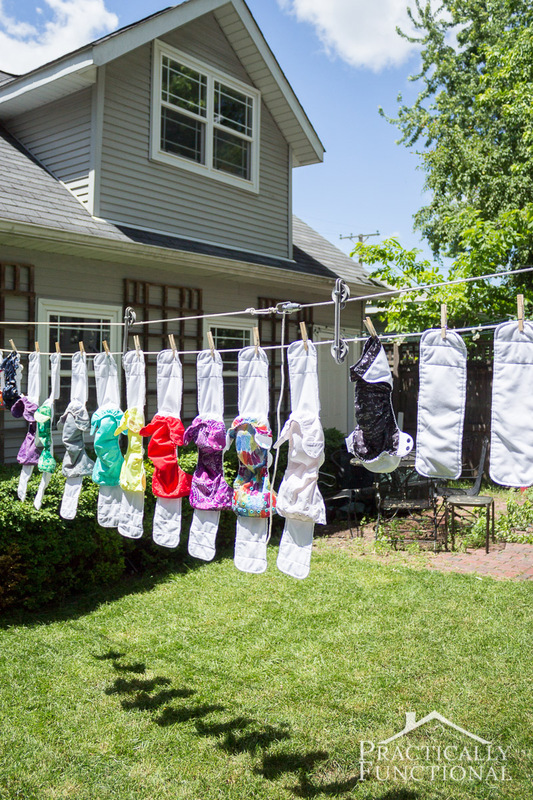 We can only do it in the summer because it’s rainy and snowy the rest of the year, but I love line-drying our clothes in the summer; they smell so fresh and clean when I bring them indoors! 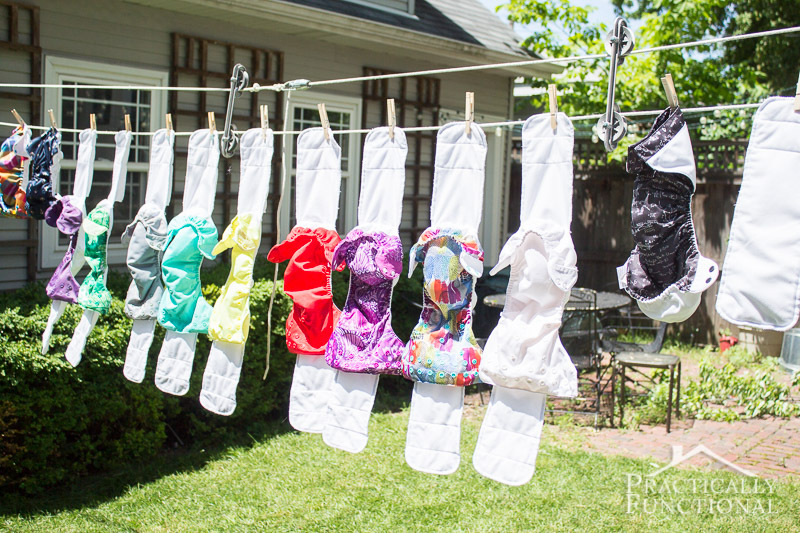 Does the clothesline spreader roll in with the clothes? I was attempting to figure that out and that is the only thing I can think of. Yep it does! The spreader has two wheels, one that rolls along the top line and one that rolls along the bottom line. So if you put one on your line and then pull the line through the pulleys, the clothesline spreader will roll along the line with the clothes. It can only roll in with your clothes if you tie off the line on the bottom. The line tightner goes on the bottom, not on the top. 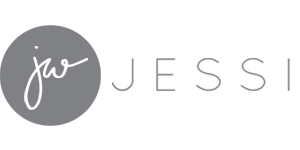 You hang your clothes after the knot sending the knot or the line tightner out first. Then put the spreador in between your laundry and the spreador can roll with your clothes. Otherwise the line tightner stops when it reaches the spreador and the line can’t move anymore! I always just stick my spreaders on after I fill the line, but if you want to do it all at once as you go, put the tightener on the bottom! 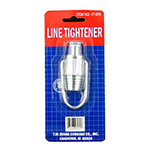 I prefer to put the line tightener on the top so that I can use the entire length of the clothesline for hanging clothes. The tightener is only maybe 6″ to 8″ in total, but I can hang four or five diapers in that much space, so I put it on the top! 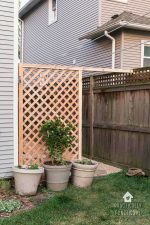 hi i am looking to do this in my garden in the uk but i don’t understand the spacer/line tightener arrangements. regardless as to whether the line tightener is on the top or the bottom (personally i agree top is better for the tightener regarding line space) how does the tightener move along past the line spacersonce the clothes are on the line. If you have to walk down the garden to put the spacers on doesn’t it defeat the object of having a pulley washing line that you don’t need to walk down the garden to use? 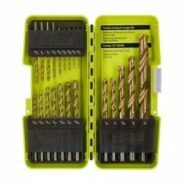 would you still need to load the spacers on if the tightener was on the bottom? 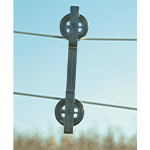 is this just the case on these type of lines that you always put on the spacers after you have loaded the washing, i can’t seem to find the answer to this question anywhere, we have washing lines in all uk gardens but this is not a usual set up for us. If you put the line tightener on the top to save more room at the bottom, then the spacers can’t go on the line until all the clothes are hung, and you do have to manually go add the spacers later. If you put the line tightener on the bottom, you do lose a little bit of space for hanging clothes, but then you can add the spacers at the same time as you hang your clothes, and the spacers will roll down the line with your clothes, saving you the trip to add the spacers later. It’s just a matter of personal preference! So let me make sure I have this right. If I wanted to say open a window and stay inside, I could literally ‘pull’ the line around to send out/bring in my laundry? And for the laundry to pass the hardware, the wheel drives over my clean laundry without knocking off the pin? How do the wheels stay clean if you leave it up all summer long? You could set it up so that you could do it all from inside a window if you want! 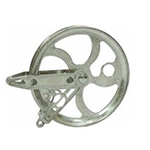 The wheels of the spacers never roll over your laundry or the pins; if you want to set it up this way, make sure that the tightener is on the bottom line, and start with an empty line and the tightener as close to you as possible. Then load your clothes up on the bottom line and push the tightener away from you as you load more clothes. Add a wheeled spacer every once in a while as you load clothes, and as you keep loading and pushing the line away from you, the wheeled spacers should roll away with the line (they will bump into the clothes pins and that will help them roll with your clothes). Then to bring the laundry in just reverse the process! I like to hang a lot of my clothes on hangers to dry – would they slide around on their own or would I need to space them out with clothespins on either side of the hanger. I haven’t used a clothesline since I was a kid! 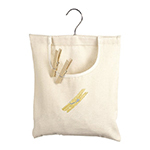 If you want to use hangers on your clothesline, you’ll probably need to use clothespins to keep the hangers from all bunching up together in one place. 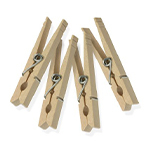 Or you can just clip the clothes directly to the clothesline with the clothespins! Would I be better off with a cotton line or clear line? You can use either! 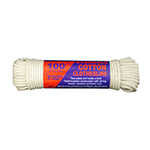 I like cotton line because it’s softer, and thicker so your clothes don’t get a crease in them when they hang over the line. But cotton line can stretch out over time, so you’ll need to keep tightening it.